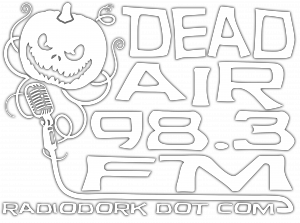 UPDATE — Dead Air is now a dedicated, year-round Halloween radio station. Enjoy! At the top of the page you’ll see that you can click on Listen While You Read, which will pop up a new window with a player so that you can listen to Halloween-themed radio continuously in the background while navigating throughout HL, reading, and even when you leave and head back to social media, every year all throughout October. We’re open to your feedback on what you think of Dead Air Radio. Feel free to make any song, clip, or sound effect requests in the comments below. And again, we’d love to hear more specific feedback and requests in the comments below. ← Jack’s Attic Meets Silver Shamrock : Myers Gets A Makeover For The Season Of The Witch!